If you need ability to convert files from Doc to HTML format in your c# application, Total Doc ConverterX is an excellent tool for providing such feature. This SDK is used for easy integration of document converter into existing web apps. It is as easy to use this Word to HTML library when developing application from scratch, as to add converting functionality later, into a ready-made service. All these features can be hardcoded (if you want to convert files with the same parameters) or adjusted manually. For manual settings convert Word to HTML command line parameters are used. If to convert files by the command line (i.e. not via graphic interface), users will need to send conversion requests with proper parameters to a web server, where your app is installed. 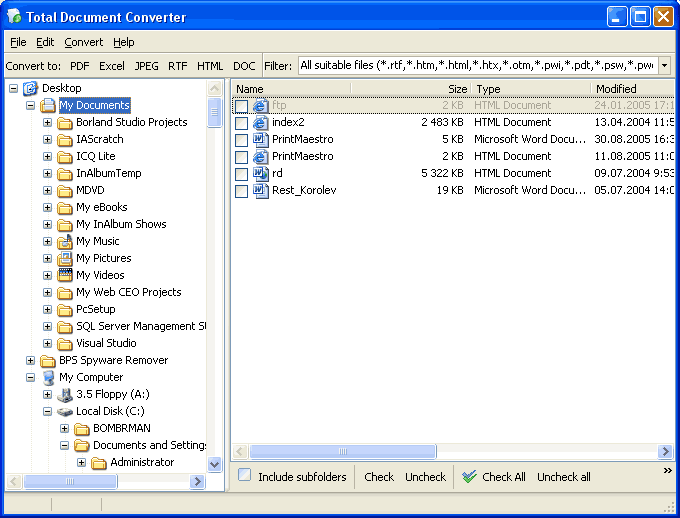 If you would like to provide some user interface for the converter, you can integrate the converter into it using ActiveX technology. It allows to port separate features into existing applications coded in c#, PHP, Delphi and other languages. 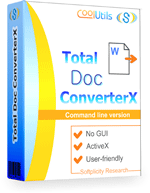 Total Doc ConverterX is very flexible. It is practically a basis for developing some web service for files conversion. This Word to HTML library can be used in a local application, if you need to provide this facility for your corporate needs. Get it here!